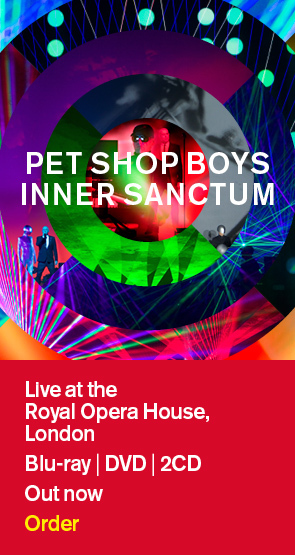 Pet Shop Boys return to the Royal Opera House in London tonight, two years after their original “Inner Sanctum” shows there. There will be four performances of “Inner Sanctum” this week and Friday and Saturday nights’ shows will be filmed for commercial release - David Barnard, who made the “Pandemonium” and “Cubism” films, is directing. All four performances are sold out.